The water quality in a surface water body is generally affected by the physical, chemical and bio-chemical processes in the water. It is also influenced by the surrounding watershed which carry a significant amount of sediment, nutrients, and other pollutants. This paper presents a technical approach to link the watershed model and surface water quality model to study the effect of pollutant loads from upland watershed on the water quality of the receiving water body. The AnnAGNPS watershed model, developed at the USDA ARS, National Sedimentation Laboratory (NSL), is applied to simulate the loads of water, sediment and nutrients from upland watersheds. In this model, the effects of land use/land cove, soil properties, climate, agriculture management, etc. on the watershed loads are considered. The computed results are used as boundary conditions for CCHE_WQ, a water quality model developed at the National Center for Computational Hydroscience and Engineering (NCCHE), to simulate the water quality concentration in water bodies. In this model, the effects of sediment on the water quality constituents are considered, and the distributions of nutrients, chlorophyll and dissolved oxygen in the water body can be obtained. This technical approach is tested using Beasley Lake watershed in the Mississippi Delta as a study site. The lake water quality is monitored by NSL, and the measured data is used to calibrate and validate the numerical model. In this lake, sediment concentration is relatively high, so the sediment-associated water quality processes need to be taken into account. This research provides a useful tools to assess long term impacts of watershed nutrient and sediment loads on the water quality of the receiving water bodies. 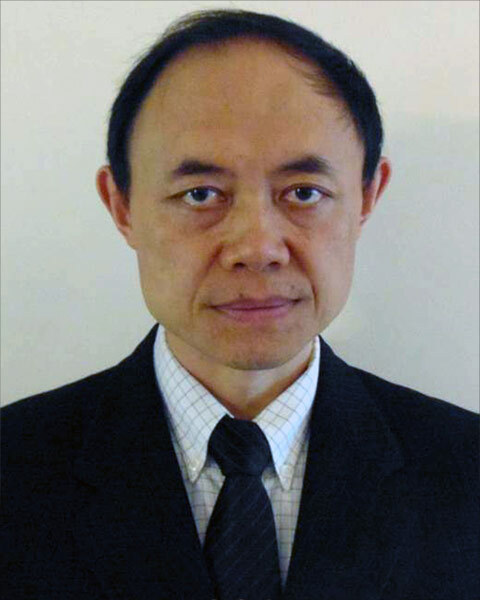 Dr. Xiaobo Chao, Senior Research Scientist at the National Center for Computational Hydroscience and Engineering, The university of Mississippi. His research interests are focused on the field of Environmental Hydraulics and Computational Hydraulics, with special emphasis on modeling of hydrodynamics, water quality, pollutant transport and oil spills in lakes, rivers, and coastal waters. Bio: Dr. Xiaobo Chao, Senior Research Scientist at the National Center for Computational Hydroscience and Engineering, The university of Mississippi. His research interests are focused on the field of Environmental Hydraulics and Computational Hydraulics, with special emphasis on modeling of hydrodynamics, water quality, pollutant transport and oil spills in lakes, rivers, and coastal waters.